Left: ca. 1657, Residenzgalerie Austria. Right: ca. 1660-65, Louvre Paris. 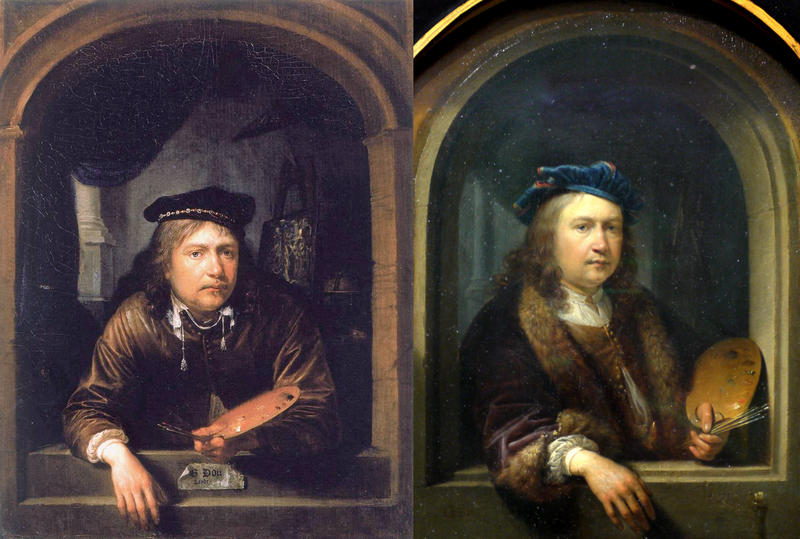 At the age of 15 Gerrit Dou (aka Gérard Dou) (1613-1675) became Rembrandt's first pupil. Later in life he specialized in small pictures. In the first picture he is in the centre of the world, while in the second he is a part of the world, but ad a dominator.